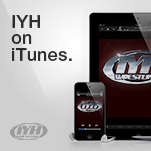 IYH LIVE @8:05PM EST with Bobby Fulton of "The Fantastics"! IYH LIVE @8:05PM EST with Kamala the Ugandan Giant! 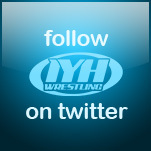 IYH LIVE @8:05PM EST with Kevin Kleinrock of The Masked Mania PPV! The first ever Lucha Libre PPV in English! Bull Buchanan joins us Friday to talk about his upcoming final match and retirement from professional wrestling. LIVE tonight @8:05 PM EST In Your Head takes over Friday nights !!! Cauliflower Alley Club is reporting long time AWA commentator Larry Nelson passed away.